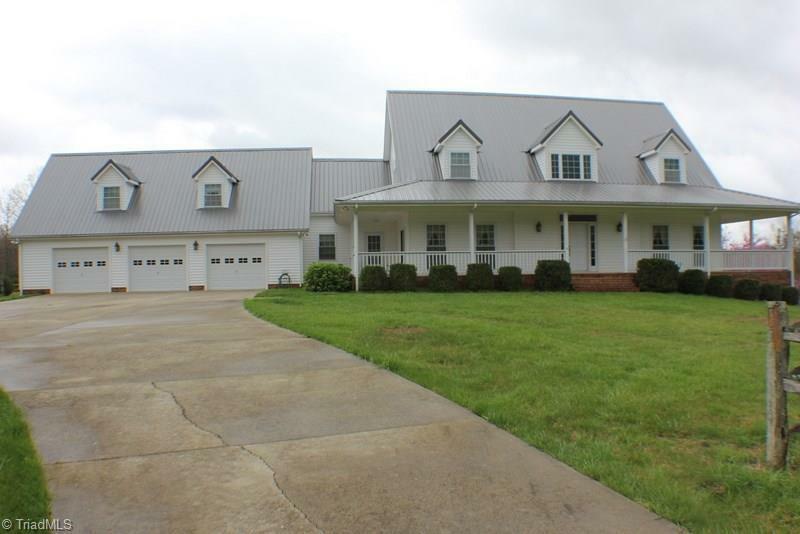 Gorgeous setting, mountain views all around on 81.48 acres. fenced pasture, creek. Spacious 5 bedroom home, 4.5 baths, formal living, dining,den and large kitchen, lots of cabinets, master BR main level. 2 Br. upstairs with bonus area, also features a guest apt or in-law suite w/ BR., bath, kitchen & living. beautiful hardwood floors, granite counters, huge game room & kitchen in basement. outside a large covered picnic pavilion w/ BBQ grill, gas stove, 3 car garage. Will sell house with less land..